Quality is the number one focus in today’s world of manufacturing. This extends through all aspects of the manufacturing process and encompasses requirements from hardware lot traceability to certifications that meet Mil-Spec, ASTM, or SAE-AMS specifications. 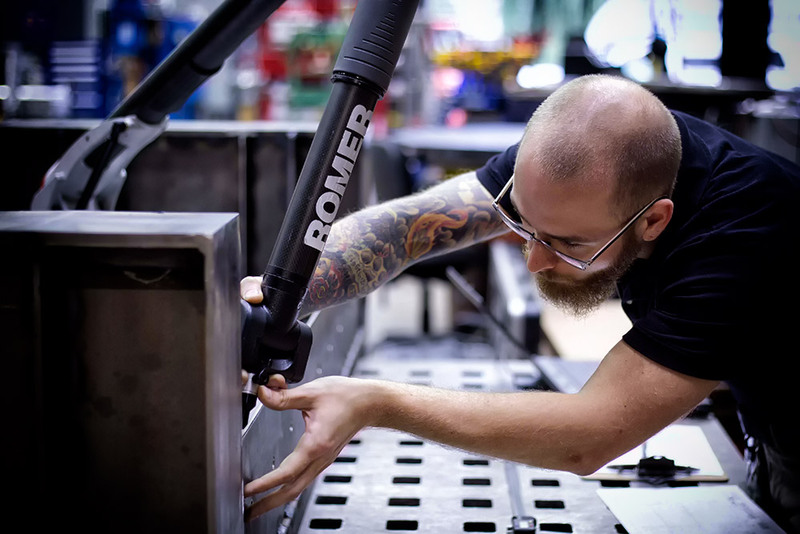 Inspection during the build cycle of a part is not just a step in the process, it’s a step at each process from incoming material to packaged final products. In-process inspection happens on regular and random basis. We create custom gauges both for difficult measurements and to improve inspection time. All of our inspection equipment is maintained on a strict calibration cycle following best practices of ISO and NIST standards. We can provide First Article Verification (FAV) and First Article Inspection (FAI) data along with certifications in material, testing, plating, painting, and marking to meet your specifications. Every part that leaves our facility receives a 100% visual inspection prior to packaging. At Randolph and Baldwin, in-process inspections are performed by experienced inspectors using an onsite portable ROMER arm, Nikon CMM, Manual CMM, or precision gauges. Weld inspections are performed by AWS certified weld inspectors with decades of experience working with both intrusive and non-intrusive weld inspections. For more information on Randolph and Baldwin’s Inspection services, please contact us.